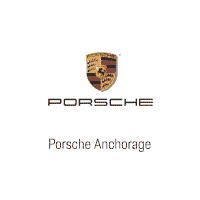 Porsche Anchorage is proud to sell and service Porsche vehicles in the greater Anchorage area, including Palmer, Eagle River, and Kenai. With models like the new Porsche 911, Porsche 718 Cayman, and Porsche Cayenne, we have something for every taste and budget. Browse our new Porsche inventory to check out the model you’ve been eyeing. If it’s a used car or SUV you’re looking for, Porsche Anchorage has a wide selection of certified pre-owned vehicles and used cars, trucks, and SUVs. Feel free to visit our Porsche parts and service centers. Your Porsche dealership has everything you need in the way of OEM parts. No matter the make and model of your vehicle, the Porsche Service Center will get you fixed up and back on the road before you know it. At Kendall Auto Alaska, we’re proud of our place among Alaska’s vibrant business community. Kendall has been a part of this great state since 2008 when we join with the Nye Group. We feel fortunate to work and live in this great state and remain committed to our customers, to the communities we serve, and to our employees. Now, with dealerships in Anchorage, Fairbanks, Kenai, Soldotna, and Wasilla, we appreciate the opportunity to call Alaska home. Our mission at Porsche Anchorage is simple: To deliver an unrivaled customer experience. Through our highly motivated, knowledgeable, and caring team of professionals, we pledge to listen and respect your needs. Doing the right thing means more than selling and servicing vehicles. Our progressive attitude means being exceptional stewards of the communities we operate, as well as the environment. It means going above and beyond every day for the people who mean so much to us–our customers.